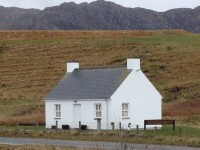 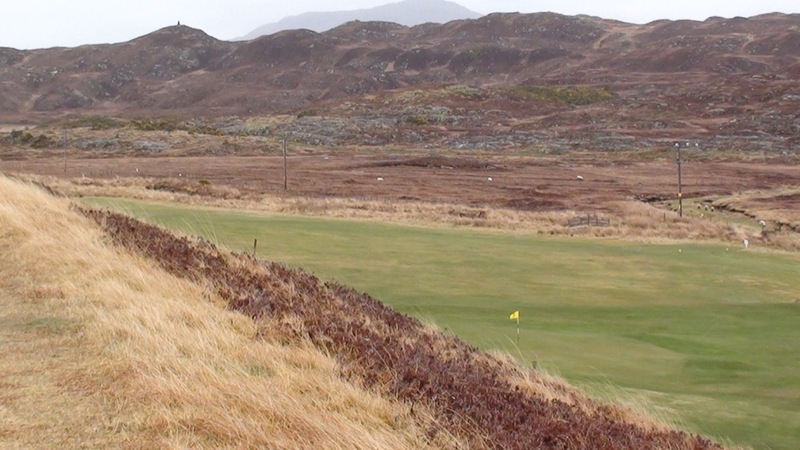 Romantic Scottish enthusiasts of both golf and sightseeing sometimes lament the fact that the mythical and legendary Isle of Skye is not readily included in their Scotland golf packages. This despite at first glance not seeming all that far from Loch Ness or the great Scottish Highlands venues, and for many it can be especially disappointing to not lay their own eyes on the iconic Eileen Donan’s Castle which might be the most recognizable in Scotland. 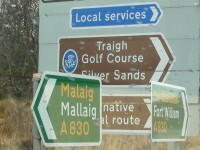 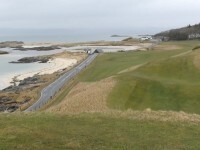 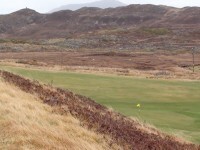 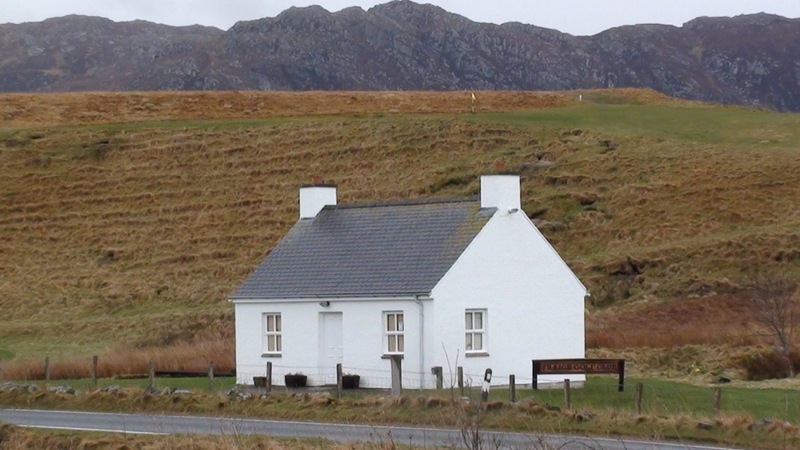 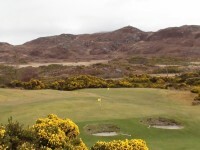 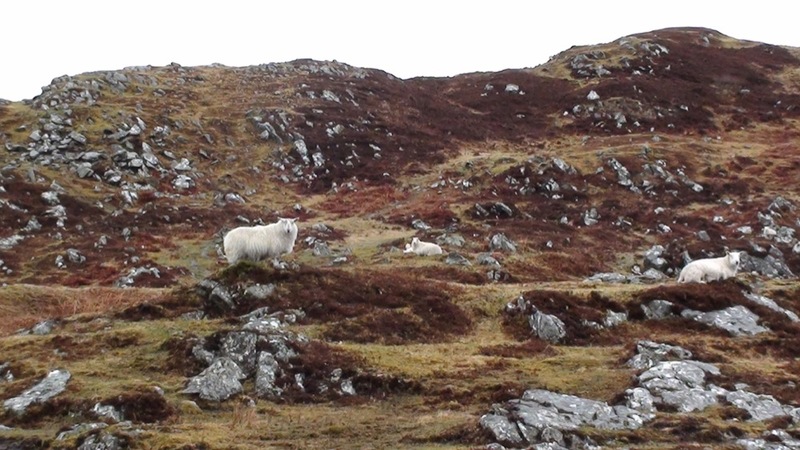 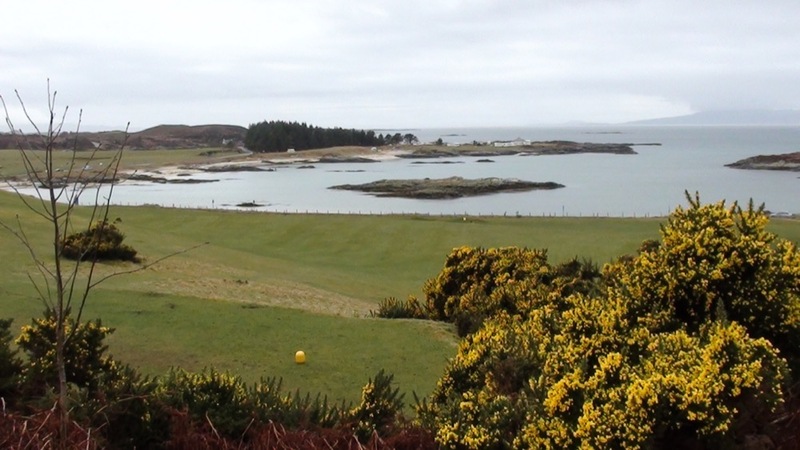 But golf and sightseeing do not have to be mutually exclusive even in this rugged and remote region of Scotland. 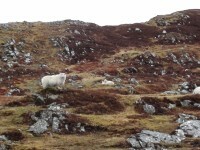 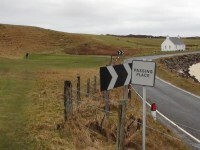 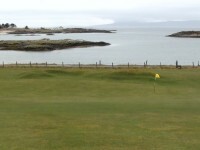 There is a course that is worth the journey, just across the ferry from Skye at Mallaig. 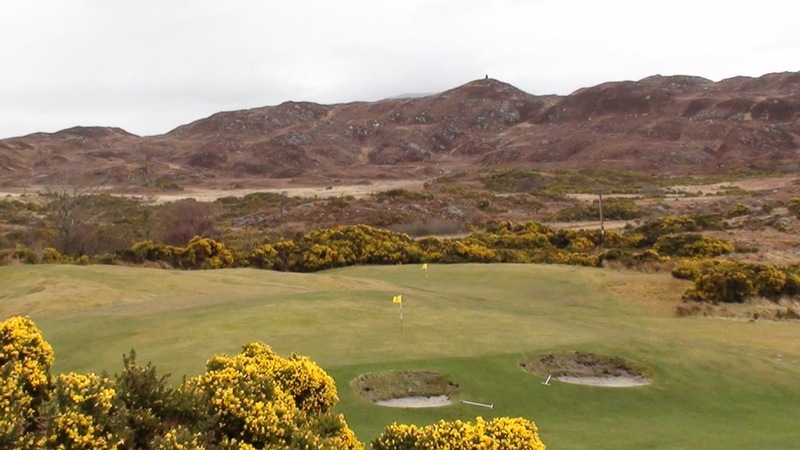 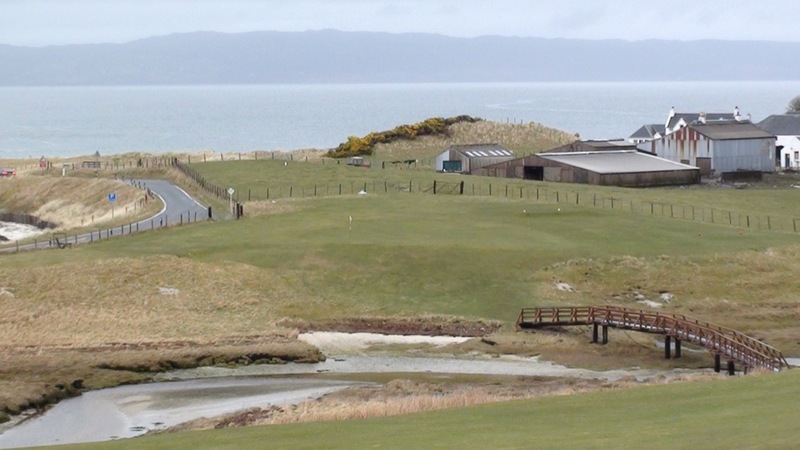 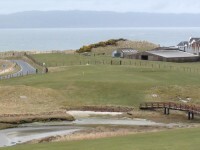 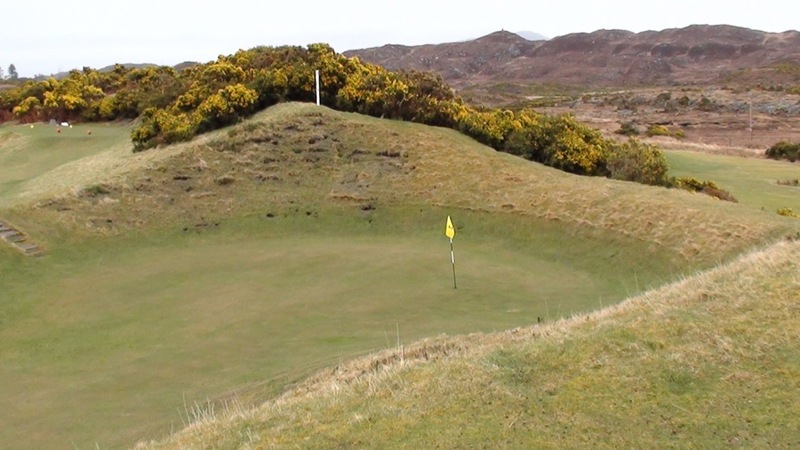 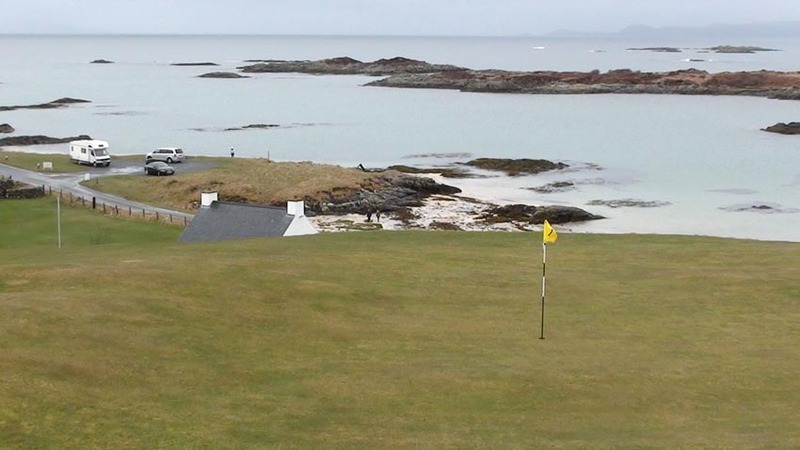 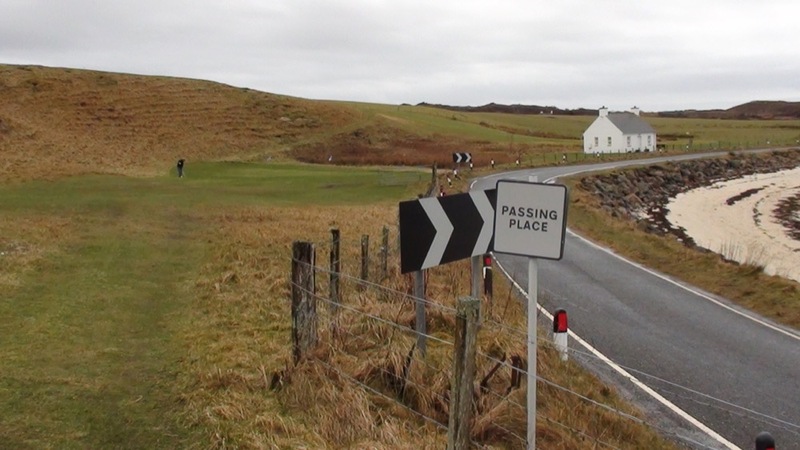 It’s called Traigh Golf Course, pronounced “Try” Golf Club and you should indeed Traigh to make your way here to this traditional links golf challenge in the most unlikely of Scottish locations! 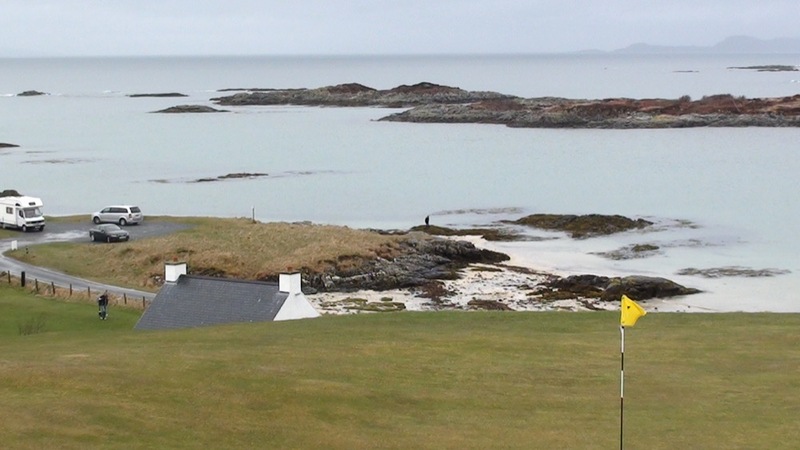 This 9-hole de-light offers free Rum..views of Rum that is (meaning, the island of Rum!). 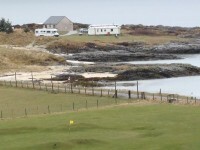 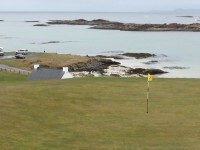 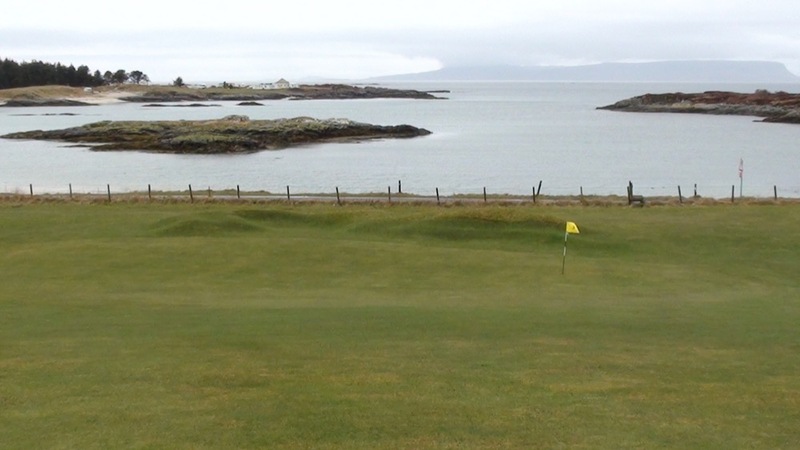 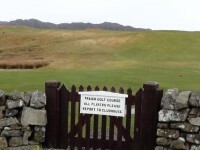 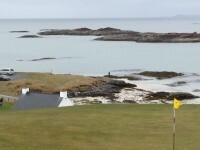 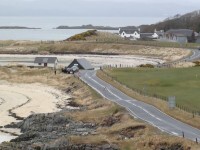 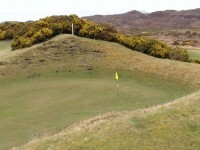 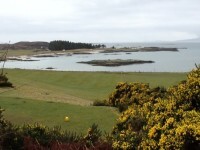 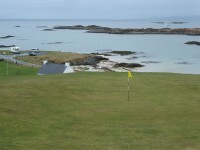 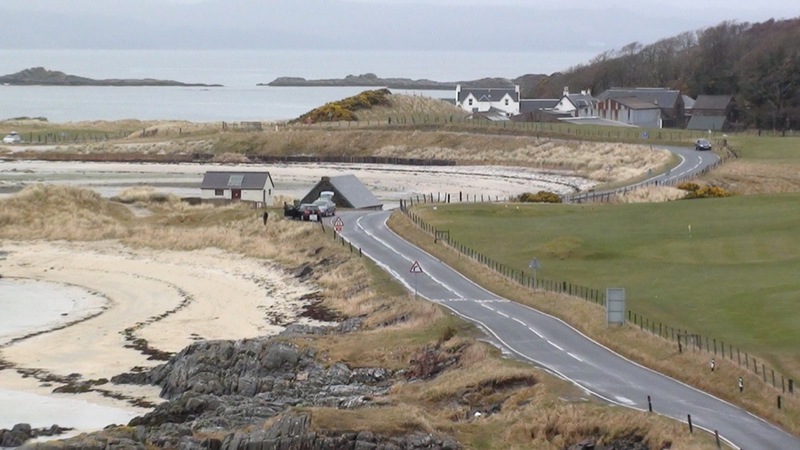 Traigh Golf Course also offers views of the Hebredian isle of Eigg along with the Cuillins of Skye. 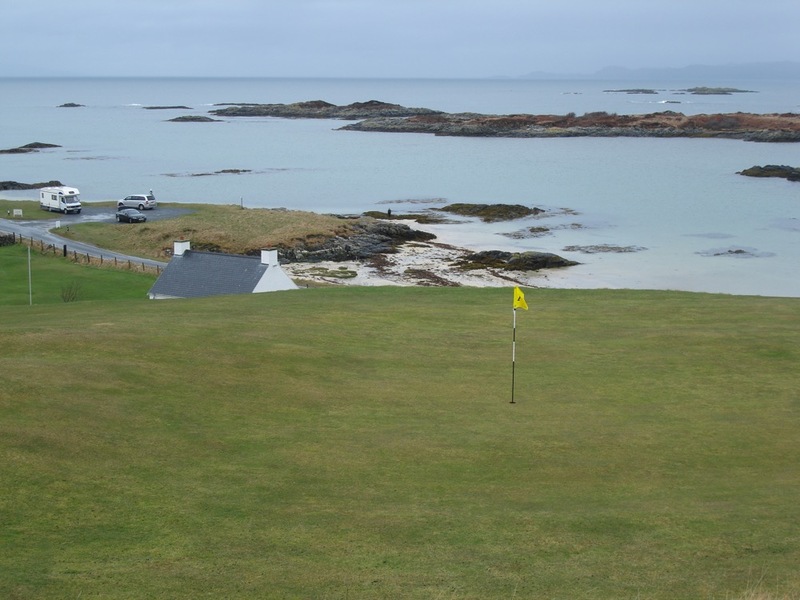 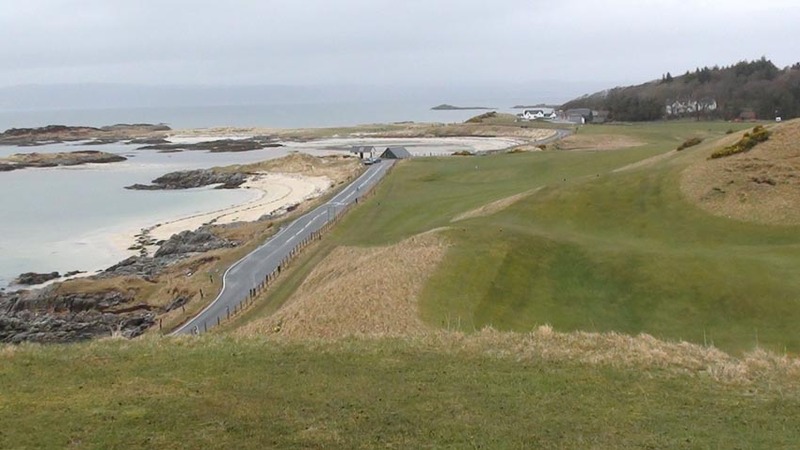 In fact, The Scotsman newspaper calls Traigh Golf Course probably the most beautifully-sited 9-hole course in the world and who would disagree. 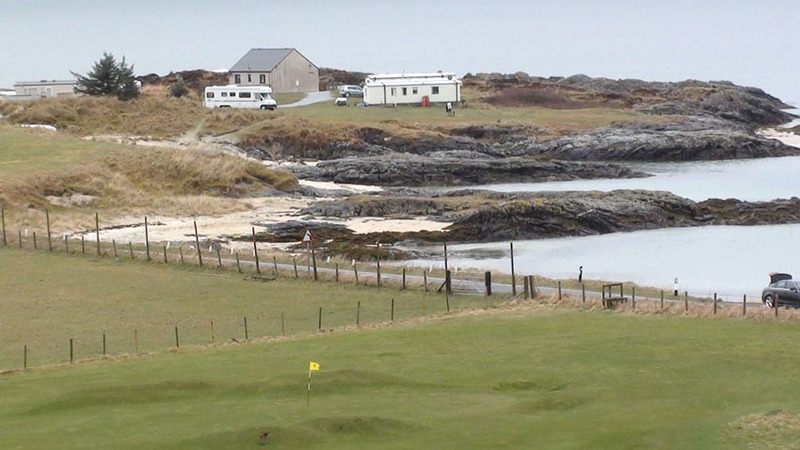 Let the family run around the glorious beaches while you put your modest Traigh Golf Course green fee into the hon-or box and head to the first tee! 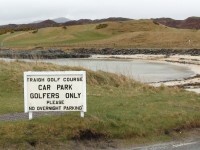 Traigh Golf Course’s nine majestic holes will go by quickly but the memory of playing here will not quickly fade. 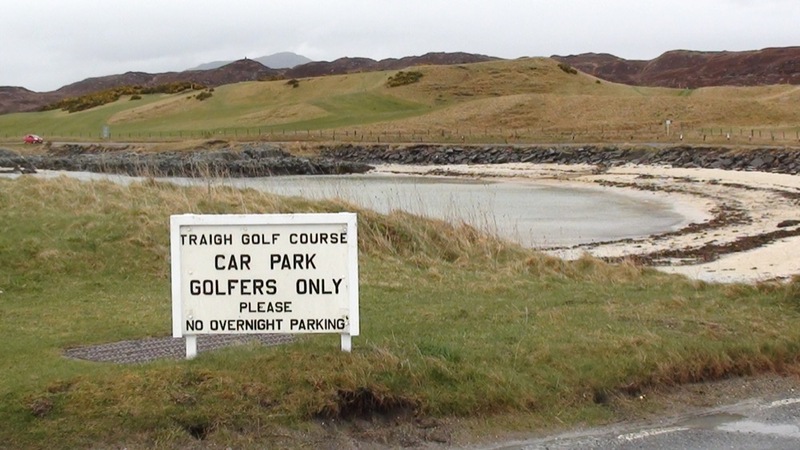 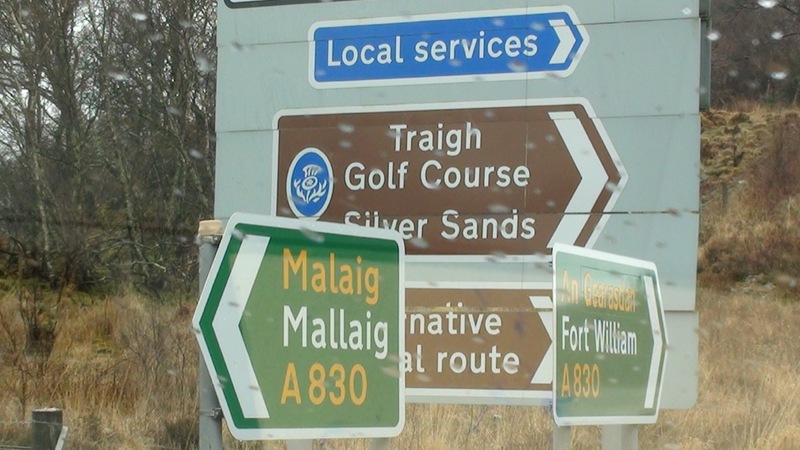 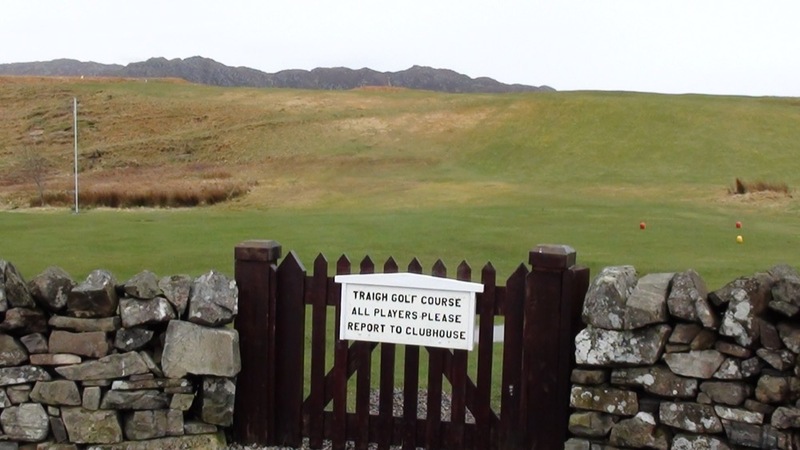 As you drive back down the famous “Harry Potter Road” towards Ben Nevis and the town of Ft. William, a part of you will remain back at Britain’s most westerly golf course, the nine-hole stunner called Traigh!